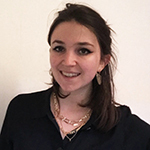 Grace Jeremy, 26, is the Engagement Lead and Lead Young Advisor for We Can Talk, the Rights and Participation worker at Off The Record Bristol and Peer Project Coordinator for The Blurt Foundation. She has been working as a mental health activist, educator and speaker since she was 17. You can follow her at @_graceadele.